Enjoy long flirtatious tresses? Like your hair wavy! 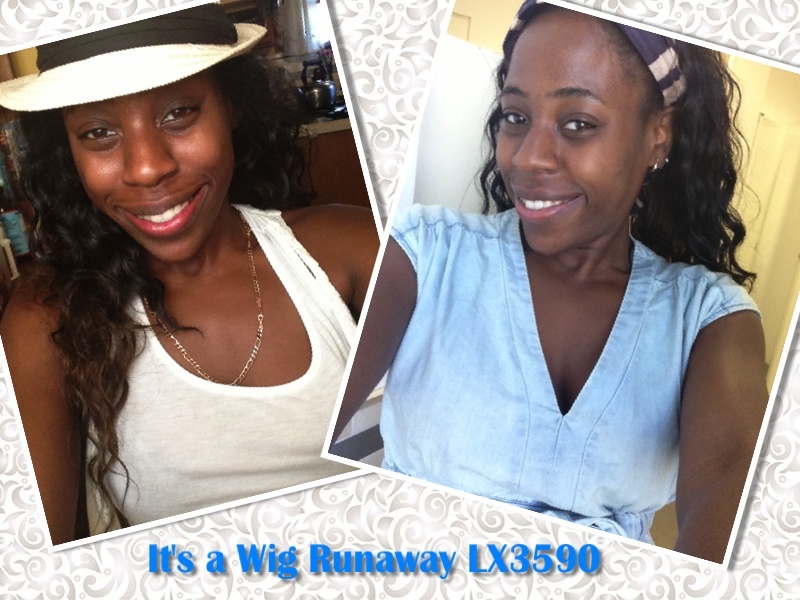 It's a Wig half wig, Runaway may, be the perfect look for you. This wig comes in a variety of colors. It's a great option for both the working woman or trendy maverick who wants to feel bold and beautiful when stepping out. 1. 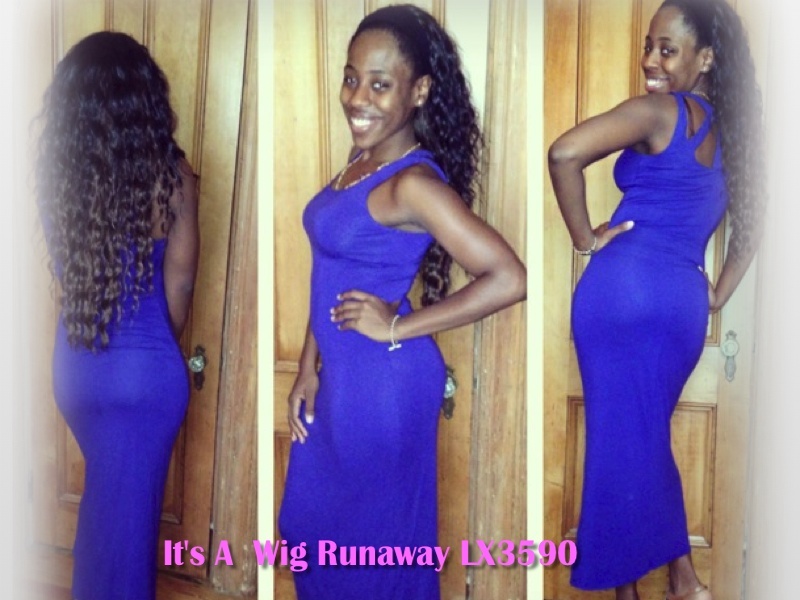 Premium Synthetic Hair: Nobody likes wearing a wig that looks "wiggy". It's a Wig! premium quality hair is great for creating the illusion of luxurious virgin hair. The fibers in this unit are both natural looking and are easy to take care of. Also, the wig is iron-friendly so you can use a curling iron to retouch curls. 2. Half Wig. Because this wig is a half wig, it’s very easy to create the illusion that the hair is all yours. It also creates for a variety of styling options. You can wear your hair out in the front for a blended texture look or you can use different headbands and headwear to camouflage the wig front of the unit. 2. Easy Installation and Care: The wig comes with combs in the front and back of the unit to help with securing wig to wig cap or your preferred method of attachment. The combs allow for worry-free wear. You can last the entire day without worrying about slippage. Although each wig is “tangle-free, it is still very easy to comb through and take out small tangles that may arise after prolonged wear. Remember, caring for your wig is very important. Be sure to take off wigs at night and use a wig head, if possible. Because this wig is long, you want to make sure you allow the hair to hang loosely and freely to avoid tangles. 4. Two- Toned Color Availability: RUNAWAY comes in a variety of colors for the customer who likes color and wants to experiment with new looks. Hair color always brings flavor to any hairstyle. The new two-toned colored options are customer (and reviewer) favorites! 5. Fashion Forward. 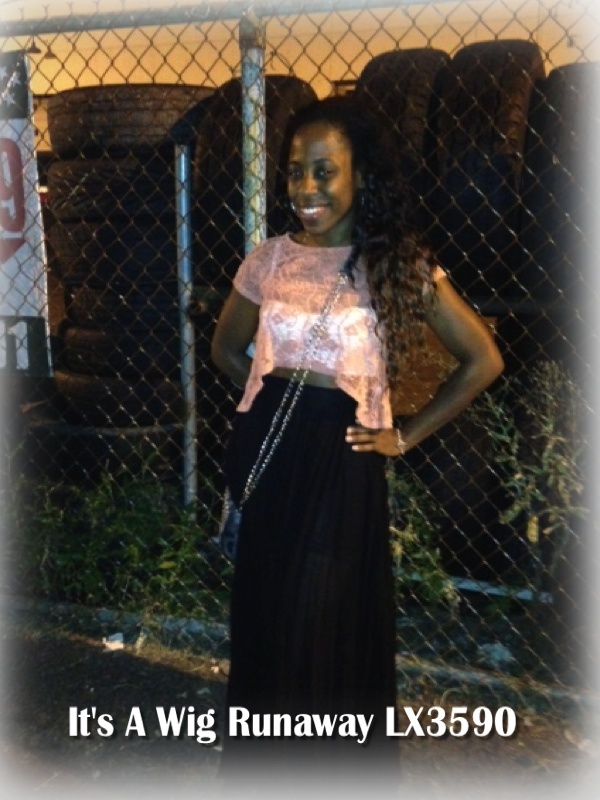 Celebrities such as Beyonce, Tamar Braxton, K. Michelle, Jennifer Hudson are all rocking the long and wavy look. Plus, the hairstyle can jazz or spice up any outfit! You are sure to turn heads when wearing this wig. It’s a great complement to any outfit. The pictures below show the different ways you can wear your wig and still be style conscious. Final Verdict: This is my first time wearing a wig in such a long length, but I fell in love at first wear! Not only does RUNAWAY look and feel good, but it also makes me feel confident and sassy whenever I step out! I wear my wig to work, when I am going out on the town, or to family events. I am definitely going to get a new one in a new color ASAP…. Five stars!